Avilon is the newest fully integrated flight deck solution on the market today. Unlike the current solutions available, Avilon is not built on top of 10+ year-old technologies. 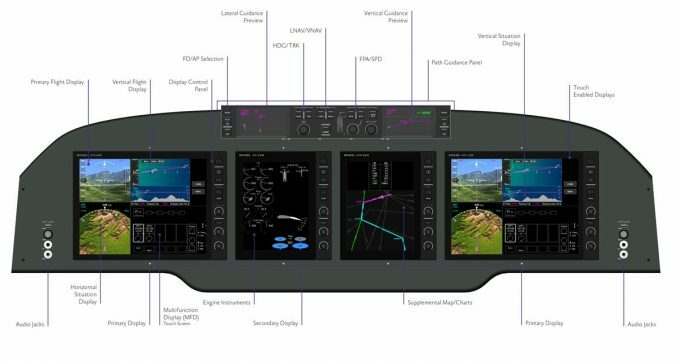 It is designed with a completely different approach to avionics. From the back to the front Avilon takes advantage of current technology from the materials and cabling to software and screens, like no other flight deck available today. It is composed of all the components required for communication, navigation, surveillance and flight guidance. Avilon features a highly redundant distribution of processing capability. 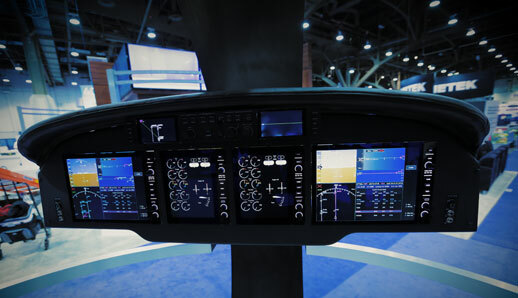 As an example, each display and the Sandel Path Guidance Panel® is fully capable of supplying the processing for the flight guidance and flight management functions. This robust design will ensure the highest level of dispatch reliability and in-flight continuity of function available in the market today. National authorities are investing in infrastructures to support significant operational improvements for equipped aircraft. Avilon has been designed to provide operators the capability to realize the full benefit of these new airspace operations. Avilon is fully compliant with the ADS-B requirements in ICAO member states. Controller/Pilot air traffic communications are in transition from voice to digital data. Many states are providing altitude, speed, route, and frequency changes through this data communication service. Sandel has provisioned Avilon to support Controller Pilot Data Link Communication (CPDLC) in the future. With the introduction of Avilon into the market, operators have a solution for a complete technology refresh of the flight deck at an affordable price. Another important consideration for retrofit is the amount of aircraft downtime required to affect the technology update. With this in mind, Avilon was designed to make installation efficient. 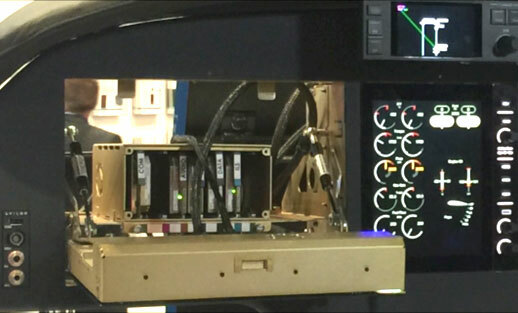 Its unique design comes as a prewired assembly, and the instrument panel installs in a single installation step, replacing the LRU’s, instruments, and their wiring harnesses all at once with a modern system of small, integrated components. Some additional benefits of this design are the low weight and low power consumption. The total weight of Avilon components, including cables, is approximately 40 lbs., and the low power consumption keeps operating temperatures low resulting in higher component reliability. 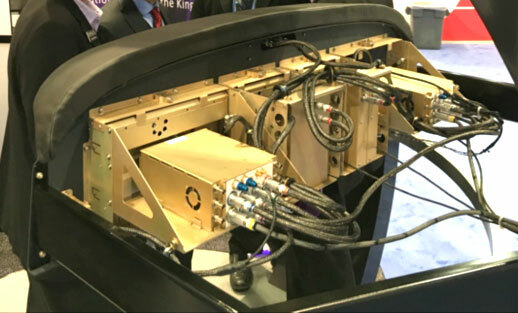 Rear view of the Avilon system showing the compact casing and cabling. Sandel has prioritized the objective to minimize aircraft downtime for installation of Avilon. This is essential to minimize the total cost of ownership of Avilon and is a key competitive advantage. Through the Avilon Pre-Installation Worksheet Process, the necessary interfaces with existing aircraft systems of the candidate aircraft will be identified. 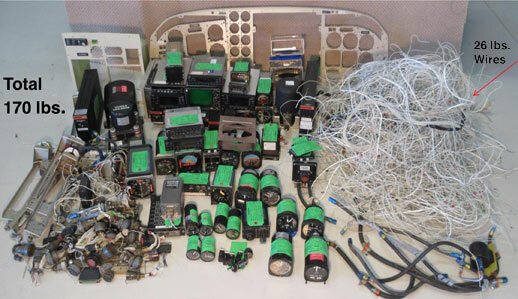 It is expected that most of the existing avionics will be removed, with some exceptions. 12.1″ Display shown with display down exposing the micro-LRU cards. Once installed, maintenance staff will appreciate the extraordinary mechanical design features to simplify maintenance activity during busy line operations. Each of the four LCD displays is designed to quickly unlock, translate out, and fold down via a clever hinge design for full access to the back of the panel.